Natividad is Pure, one of the rare girls born able to wield magic. Pure magic can protect humans against the supernatural evils they only half-acknowledge–the blood kin or the black dogs. In rare cases–like for Natividad’s father and older brother–Pure magic can help black dogs find the strength to control their dark powers. 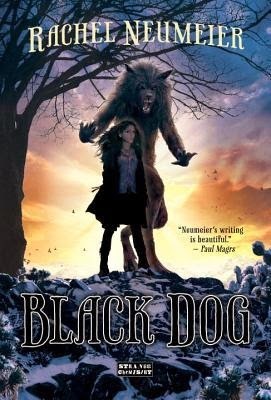 BLACK DOG takes the reader into a hidden world of magic, war, and shapeshifting that exists just behind the headlines of the human world. Think of it as Robin McKinley’s SUNSHINE but with werewolves instead of vampires.